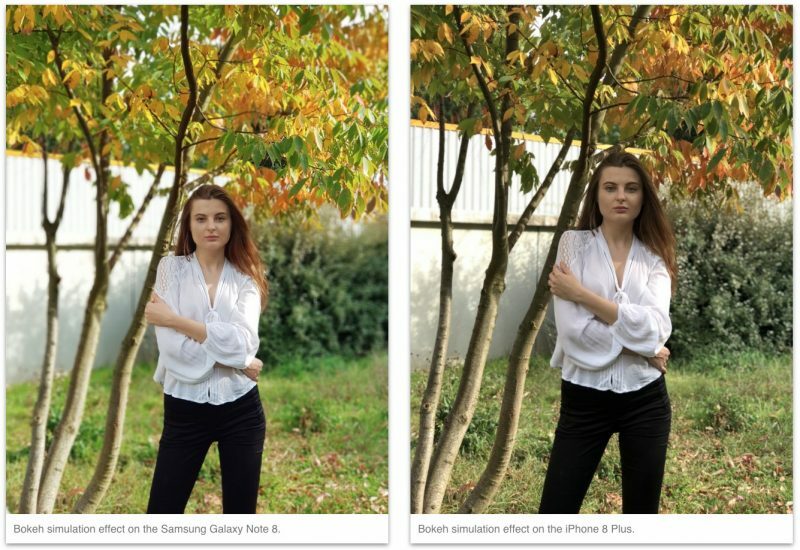 Samsung's Galaxy Note 8 produces generally better results than the iPhone 8 Plus when shooting still photography, but falls short of Apple's handset when it comes to recording video. 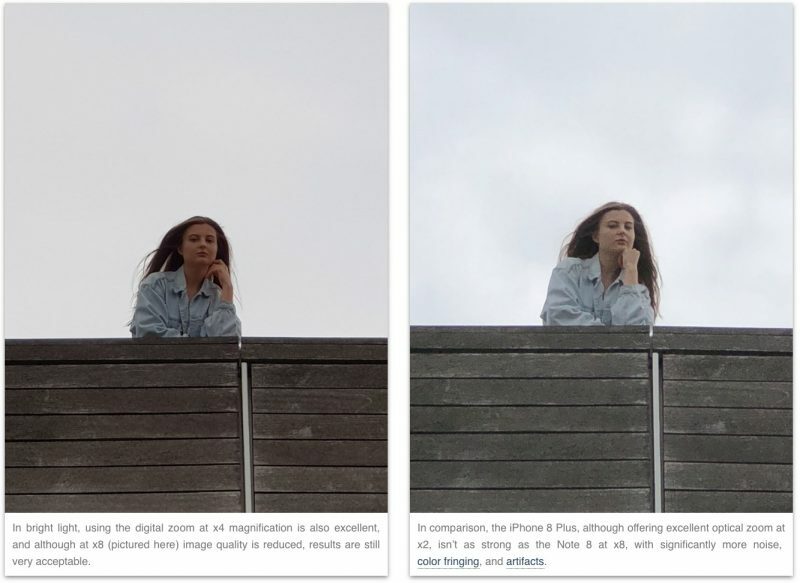 That's according to the latest comprehensive smartphone camera test conducted by Dxo Labs, in which the two phones essentially came out tied overall. The reviewers singled out Samsung's device for its "phenomenal" photo sub-score, which as the first smartphone to achieve 100 points in the category, "breaks new ground and makes the Note 8 the current class-leader for stills, thanks to excellent zoom quality, good noise reduction and detail preservation, and fast and accurate autofocus". The Note 8 is Samsung's first foray into the world of dual cameras and is a great success, offering the best zoom capabilities of any mobile device we've tested to date. Add to that PDAF autofocus, optical image stabilization, Auto HDR, and a massive 6.3" Super AMOLED display, and there's plenty for smartphone photography enthusiasts to get excited about. 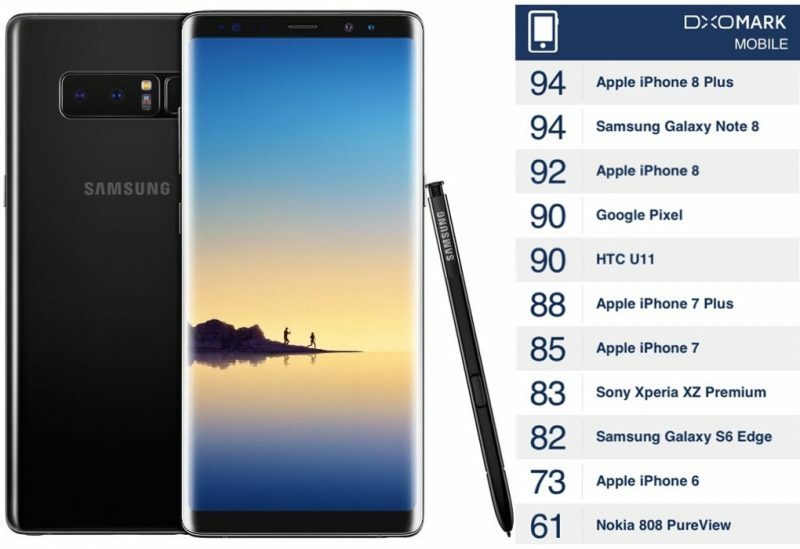 Overall, Note 8 achieved a DxOMark mobile score of 94 points, making it the joint-leader for smartphone image quality alongside Apple's iPhone 8 Plus, which the site previously praised for having the best smartphone camera they had ever tested. The Note 8's low-light photos showed less noise and more detail than its rivals, although HDR mode tended to clip highlights and highly backlit subjects didn't always turn out very clear. In terms of video, the Note 8 was notable for offering good exposure with fast convergence, fast and stable autofocus, as well as good noise reduction, white balance, and color rendering. However, while the Note 8 trumped Apple's phone when taking stills, its video performance suffered due to residual motion when holding the camera still during recording, earning it a video sub-score of 84. In comparison, the iPhone 8 Plus achieved 89 in the same tests. The full review is worth checking out, and includes additional photos and analysis of the Samsung Galaxy Note 8's dual cameras compared to its rivals. As it has been with the past several iterations of iPhone and Galaxy's, it really comes down to do you like the Apple Eco system? Or can you stand Android? Hardware has reached parity, IMHO. Nothing wrong with that. I just like the Apple universe more, as long as they can keep E. Cue from gumming it all up. iPhone X will win the tiebreak. Not super surprised. The Note, I am sure, has great hardware. It just comes down to which OS platform your prefer. Too bad the Galaxy Note 9 will be out before the IPhone X is readily available. So now DxOMark will be relevant again? DxO desperately trying to seem relevant. I really don't get how this is even possible. I don't have an 8 (waiting for the X), but I've been looking at samples and watching videos of comparisons and the differences between the images the two cameras produce are like night and day. The Note 8's camera is just woefully inaccurate. The simulated bokeh effect is laughable. The colors are so far off from real life it isn't even funny. Like, this isn't something like processors or ram where you need to rely on measurements. Eyes can clearly see the difference between the images. When an image is taken using an $50,000 8k Red camera setup, then with an iPhone 8....and the colors all match. Then you show the same image taken with a Note 8 and the colors are super vibrant while somehow also being blurry upon zooming in, there's no question. That was referring to the facial recognition technology. Benchmarks have only become meaningless since the iPhone 5S came out and stomped on Samsung and Qualcomm. When Android devices were faster they were relevant.